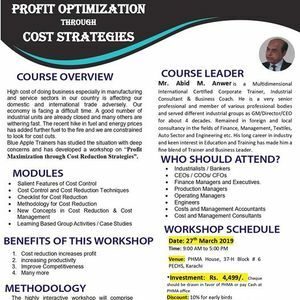 PHMA in collaboration with SMEDA and Blue Apple is organizing one day Training Workshop on Profit Optimization through Cost Strategies on Wednesday 27th March , at PHMA House Karachi. 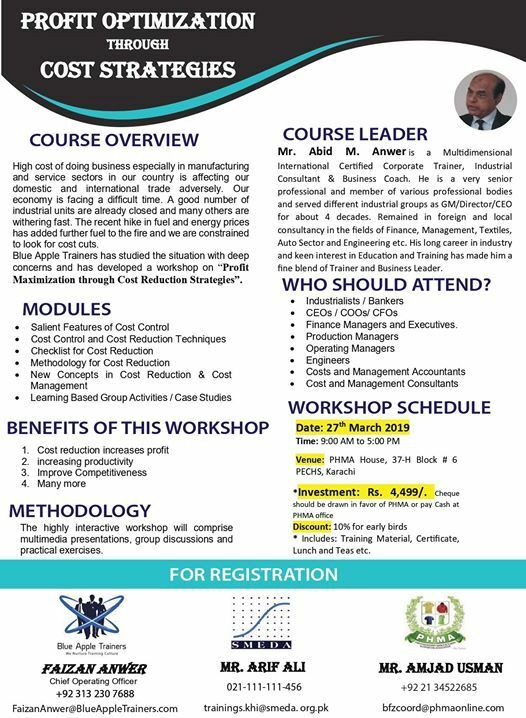 Please find attached flyer for further details of the program and Course Registration Form. Our valued members are advised in their own interests to register for this Training Program which is the need of the day.